The remote-record app is now available for all the usual suspects (iOS and Android) and offers up programme listings. You can connect up to five devices to your YouView box. 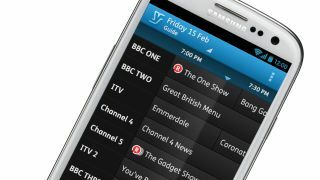 Now you're not waiting for YouView apps to arrive - you have time to heck out even more of our news blips.